Is a Swissy Right for You? ​Swissys are in general a healthy breed, but health issues that can occur in any large breed dog have been seen in the Greater Swiss Mountain Dog. Breeders strive to eliminate genetic health problems through a very selective breeding program, but that is a goal, not a reality. It's important to understand that health issues can occur in any Swissy, regardless of the pedigree or breeder. Please keep in mind that all dogs, purebred and mixed dogs alike, have health issues, including show dogs, working dogs, and family companions. 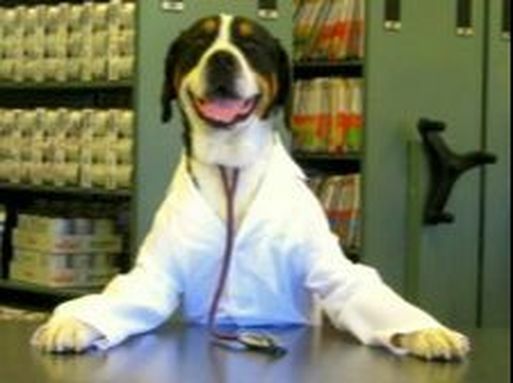 The following health concerns have been identified in the Greater Swiss Mountain Dog. Click on each health issue to view information from the Greater Swiss Mountain Dog Club of America (GSMDCA) website. An allergic reaction is an unwanted side effect caused by an inappropriate response of the immune system to various substances such as pollons, mold, dust or insect bites, certain foods, drugs and chemicals. Exposure to them triggers a reaction, usually through itching, sneezing, coughing, tearing, vomiting or diarrhea. The most frequently encountered allergies in Swissys are reaction to certain types of food, flea bites and pollen. Food allergies occurring at a young age sometimes disappear, i.e. the dog outgrows the allregic reaction eventually. Because the cause of an allergy is often difficult and sometimes impossible to determine, allergies can be very frustrating for the owner, and patience is often the only recourse! Age is the most important risk factor for the development of cancer in dogs, for it is the aging that permits the long-term events leading to tumor development and progression to occur. For most tumor types, the risk for cancer increases with increased age. There are many types of cancer occurring in dogs such as: various types of skin tumors or carcinomas - tumors of the bone such as osteosarcoma - tumors of the lymphoid tissues such as lymphosarcoma - tumors derived from blood vessel such as hemangiosarcoma. To date, Swissys do not appear to be predisposed to a certain form of cancer. And although a few cases of cancer in young dogs have been reported, so far it is clearly the older population that is subject to the various forms of cancer. This is the loss of normal transparency of the eye's lens. The opacity is usually white but may also give bluish white cast to the lens behind the pupil. A cataract can be singular or multiple, of any size or shape and may affect the entire lens. The degree of vision impairment is determinded by the size and location of the cataract within the lens. While most cataracts are considered to be inherited, some may result from trauma to the eye or from metabolic disorders such as diabetes. Congenital (present at birth) cataracts may or may not be inherited and generally do not progress to blindness. Most hereditary forms of cataract occur in dogs under the age of 5 years. Senile cataracts in older dogs are quite common and are considered to be the result of the aging process. Like any other ocular abnormality, cataracts can be confirmed by an ophthalmological exam. In general, Swissy breeders will not breed a dog with cataracts unless trauma has been clearly established as the cause of the condition. ​ 2018. ALL RIGHTS RESERVED.